Share with others: Copy and paste the code below into your website. Mention this page for your 5% discount on any of our incredible instrument cases! - If you are an individual student, please verify your status of enrollment by simply faxing (631-563-1390) or emailing us a picture of your student ID. - If you are a representing a university, please mention this webpage when sending us your purchase order. Built for toughness, dependability and style, Road Cases USA musical instrument cases are the foremost choice in musical equipment protection. Unique designs, low prices and serious durability make these band cases a top choice for aspiring or musically gifted college students as well as universities with established and well-respected music departments. 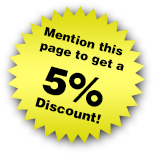 And now we’re offering an additional 5% discount to students and university musical departments when you mention this web page. Road Cases USA has been serving musicians since 1976, furnishing them with quality cases for their most cherished instruments and gear. The lustrous beauty and elegant footprint of our musical equipment cases are only topped by their incredible resilience. When you purchase cases from us, we ensure that you will have the perfect all-purpose solution for your instruments and musical gear. We have tons of permanent installation and road-ready cases to choose from and will work with you to design any type of cases needed for university or personal application. Road Cases USA offers big band and marching band cases, guitar cases, effects pedals cases and so much more. Just mention this page to get your 5% discount off our already low-priced cases. In addition to major credit cards, we also accept Road Cases USA gift cards and university purchase orders. We would love to hear from you, so if you have any questions or would like to discuss your preference of styles, shapes and other custom options for our cases, please call us at (877) 824-3199.